Prolific Publishing, Inc. is an equal opportunity employer. Just as long as you are equally or smarter than us. The MIS/Facilities Assistant provides critical assistance to the MIS department and to Prolific Publishing in general. The Assistant has the opportunity to develop and learn new technical skills while working in a family atmosphere of professionals. The Assistant will join fellow employees striving to create a smooth-functioning and successful organization. Applicants must be goal oriented and willing to assist with facilities work as required in a growing office environment. Windows 9x, NT, 2000, XP software, and PC/Laptop hardware experience required. Windows, Linux, or other server experience as well as networking preferred. Linux bash shell scripting, and some web experience preferred. Ability to accurately diagnose and correct problems quickly and to verify resolution. Ability to work and communicate effectively with all levels of management and staff. Ability to be an active participant and contributor to a professional IS team. Please email an ASCII, HTML or PDF resume with "MIS Assistant" as the subject, to "jobs at ProlificPublishingInc.com". Prolific is an aggressive and fast-paced company trying to improve the lives of our customers, users, and our employees. Our office is arranged in a comfortable setting with a welcoming environment. 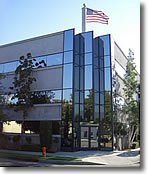 We're located in the Burbank / Los Angeles region of Southern California, a few minutes away from Pasadena and Hollywood. For our full-time employees, we offer excellent benefits including medical and dental coverage, and a progressive vacation plan.